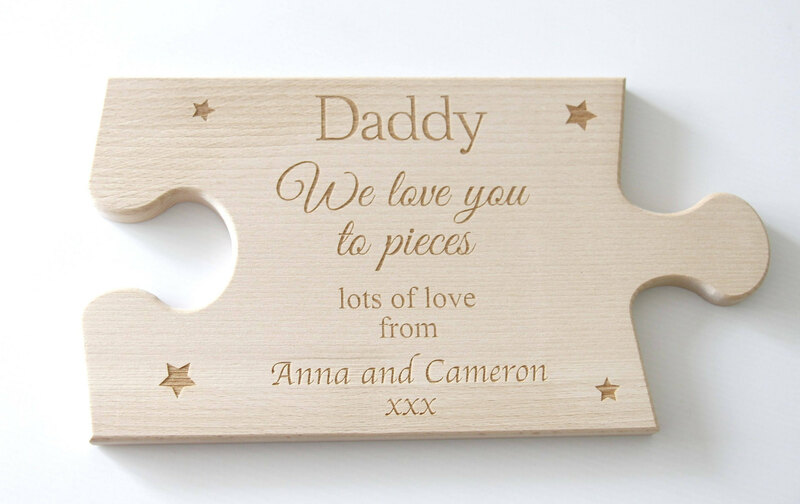 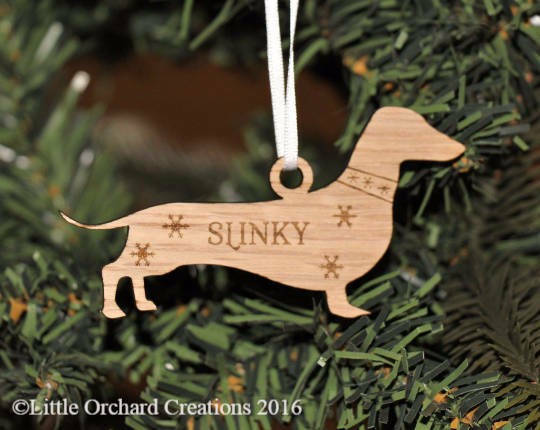 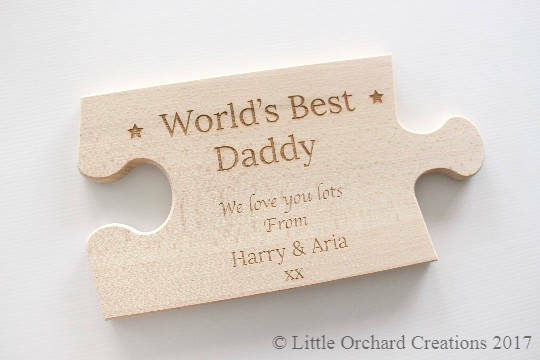 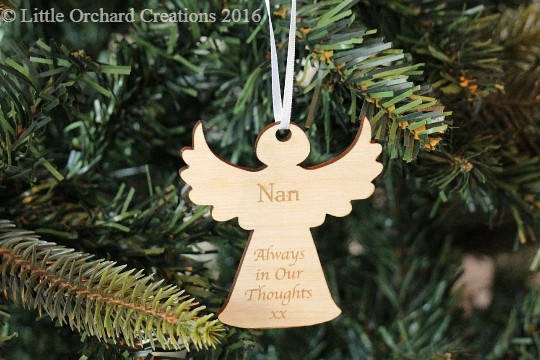 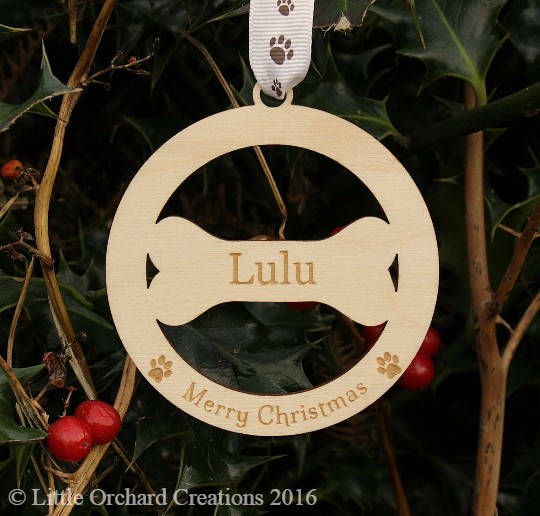 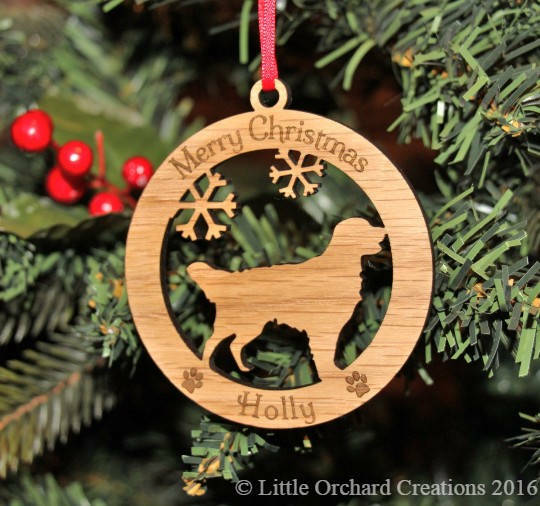 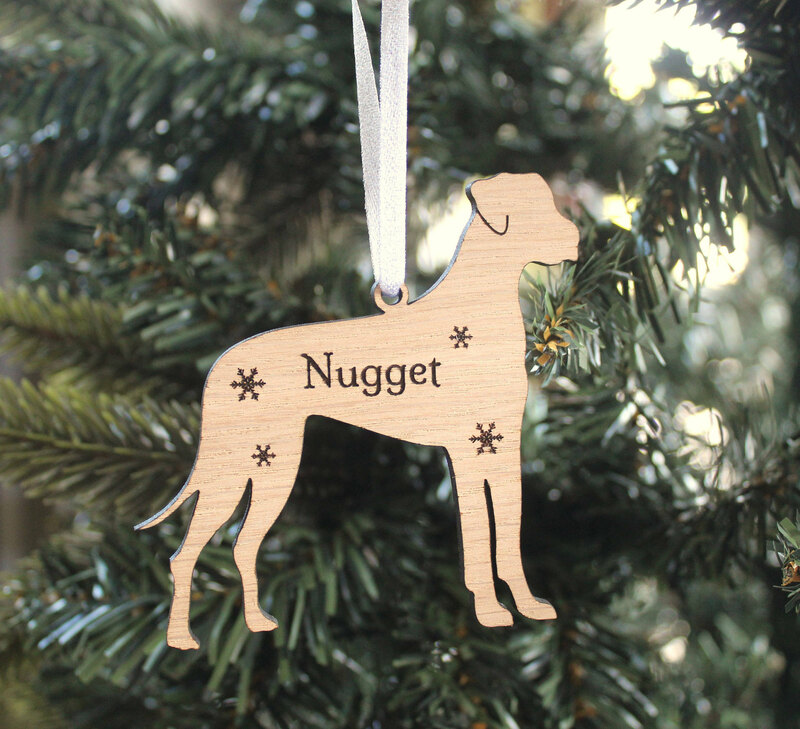 Wooden dog bone bauble, engraved with your pets name. 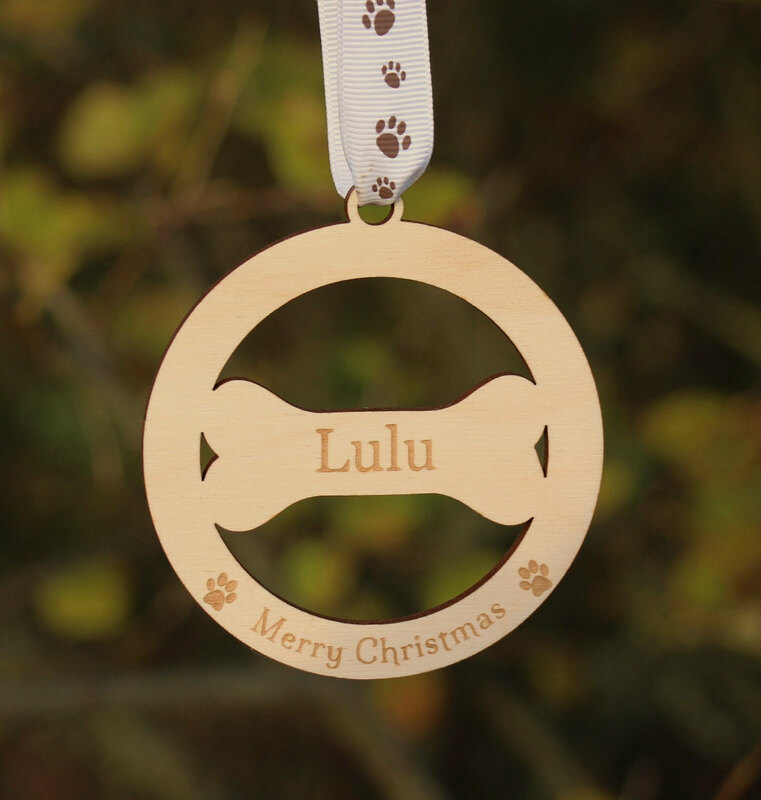 Bauble come with paw print ribbon (colour of your choice) ready for you to hang on the tree. 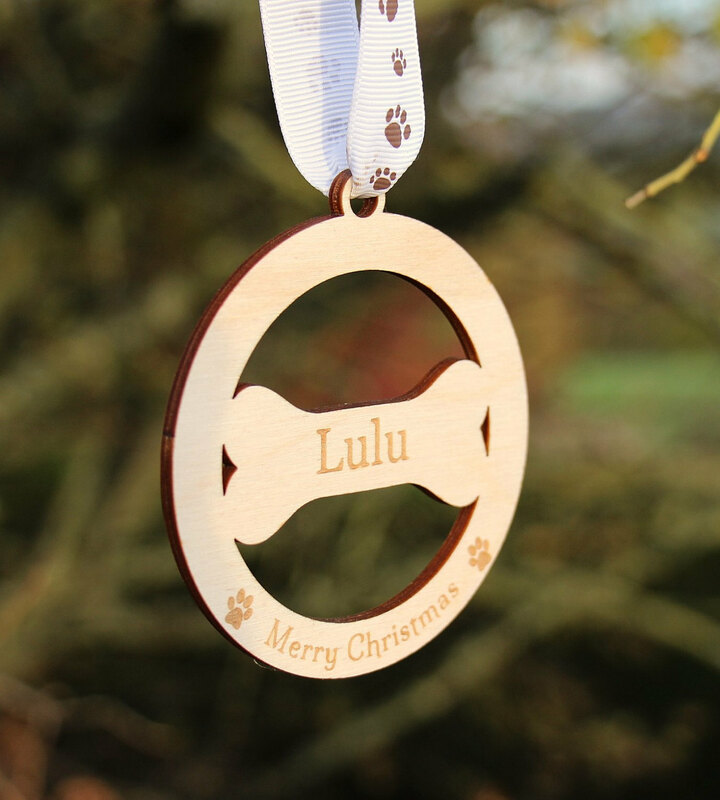 Ribbon colour choice: ‘Brown paw print’ or ‘Pink paw print’. 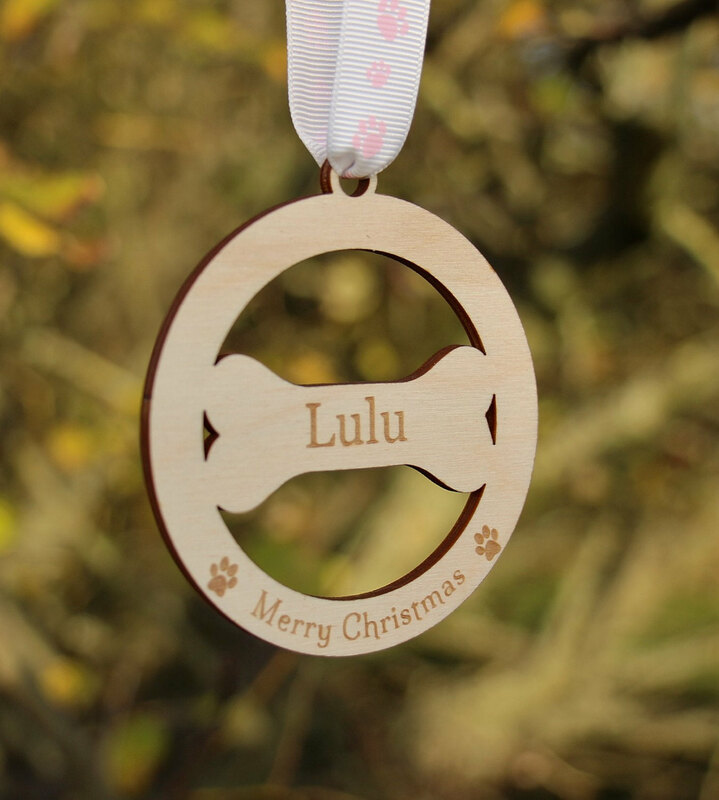 Bauble comes with a black organza bag to keep your decoration safe.